As you are aware we have a fantastic communication system in this school via Nuacht, Nuacht Eile and the main www site. It is a system that we all benefit from. We have come a long way from the days when typed letters were constantly being sent home / lost in schoolbags. This system has been voluntary set up and managed by a very small network of parents. We now need your support to keep this vital system up and running!. This is not a technical role - We need people to 'dot the i's and cross the t's', give it a good read, make sure dates are correct, information is accurate etc. Our websites are very effective resources for getting consistent information out to you all with information about news, events, policies, photographs, contact details, holidays, etc... It is key that all parents/guardians get the same information, hence why this website is crucial for getting consistent information to you all in a timely manner and most importantly, that it is correct! We are also hoping that we have some creative parents who can maybe help with the overall look and design of the sites. Note: maintaining the sites requires little to no technical expertise, you just need access to a computer and the internet! A thuistí, Cuireadh ar an eolas mé go bhfuil dhá chás míoltóga ghruaige sa scoil. Scrúdaigh gruaig do pháiste anocht agus cuir an leigheas cuí air más gá. Tá sé an-dheacair fáilt réidh le míoltóga ghruaige muna bhféachann gach clann ar gruaig a bpáistí féin.Táim ag impí oraibh seo a dhéanamh chun cosc a chur ar an fhadhb go tapaidh. I have been informed of 2 cases of head lice in the school. Please check your child's hair tonight and treat it if necessary. It is very hard to get rid of head lice if each family does not look at their own children's heads. I am imploring you to do this to stop the problem quickly. 10/10/14- As baile, (away) i Moneygourney, i gcoinne St. Patrick's Rochestown @ 12.30. Ár mbuíochas leis na tuistí a thiomáin chuig an gcluiche i gCóbh. Táimíd ag lorg tuismitheoirí chun tiomáint chuig an gcluiche i Moneygourney. Beidh thart ar seacht gcarr ag teastáil uainn. Thank you to the parents who drove to Cóbh. We are appealing to parents again to drive players to the away game in Moneygourney. The girls have a bigger panel this time so there will be a need several cars. Múinteoir Siobhán Ní Núnáin agus Múinteoir Aodán Ó Mátharbhuí. The date for this event is the 7th of October 2014. Beidh léitheoireacht bheirte ag tosnú i rang do pháiste ar an Mháirt seo chughainn an 30ú M.F. ar feag leath huair a chloigh.Tá faofú ós na Gárdaí déanta ar naoinúr tuismitheoir agus táid anois ullamh chun teacht isteach agus cabhrú linn. Tá an- áthas orainn go bhfuil é seo chun tosnú! Mar is gnáth má tá aon cheist agat téir chuigh múinteoir ranga do pháiste agus beidh siad lán sásta cainte leat. Shared Reading will commence in your child's class next Tuesday the 30th of September 2014 and every Tuesday there after for a 30 minute period. Nine parents have been Garda Vetted and are ready to commence. We are delighted this scheme is going ahead and are grateful to those that are giving up their free time to do so. If you have any questions about the scheme please speak with your child's class teacher who will be more than willing to speak with you. Reminder: 'Do This in Memory' Mass this weekend. Remind children to bring Enrollment Form to Mass with them and Thumb Book. SEE ESPECIALLY PAGE 8 and 9. At Communion time, children come forward to Priests or Eucharistic Minister with hands crossed over chest. Priest or Minister will put hand on child's head and say a prayer 'May the Lord Bless you'. Child receives the blessing and returns to seat. Ideally, teacher practices with children so that they understand. Invite children not to be giddy - be still - this is a special moment when someone is praying with them. We write to you as a parent of a child in sixth class, which is the Confirmation class. In today's world, having a child in First Communion or Confirmation class usually means a number of issues arise for parents of such children. To assist parents reach a decision on these issues we have arranged a special meeting to which we invite both of you. We realize it may be difficult for both of you to attend but if you both could attend, it would be much more beneficial for you. The meeting will be in the Friary Centre on Wednesday 15th October 2014 and will be for parents only. It will begin at 7.30 and end at 9.30pm. We have engaged the services of Micheal De Barra, an experienced teacher and facilitator to run the meeting. Micheal will assist parents to explore issues around putting forward a child for Confirmation. In particular he will explore with you what Confirmation means. In the light of that, he will assist you explore ways in which you can help to make Confirmation Day more meaningful for yourself and your child. The Enrolment for Confirmation will be on Saturday 8th November 2014 at 6.30pm Mass. We look forward to seeing you at the meeting in the Friary. Níl aon cluiche an tseachtain seo. We do not have any match this week. Tá dáta don gCéad Chomaoineach eagraithe anois - beidh sé ar siúl ar an 23ú Bealtaine 2015 ag 11.00 i.n. We have a date for the First Holy Communion - it will be held on the 23rd May 2015 at 11.00 a.m.
Tá a lán éadaí sa bhosca 'caillte agus faighte' anois. Muna dtógtar iad roimh an Aoine bheag seo 26.09.2014 beidh siad ag dul go dtí an siopa St. Vincent de Paul i gCionn tSáile. There are a lot of clothes in the 'lost and found' box now. If they are not taken before this Friday 26.09.2014 they will be going to St. Vincent de Pauls second hand shop in Kinsale. D'éirigh le páistí Ghaelscoil Chionn tSáile a lán glasraí a fhás arís i mbliana i ngairdín na scoile. D'fhásamar a lán glasraí cosúil le prátaí, oinniúin, piseanna agus a lán cairéid. Rinne páistí sna hárd ranganna anraith agus go leor builíní d'aráin sóide a bhí blasta agus folláin. Táimíd ar bís faoin múirín a tháirgtear i rith na bliana chomh maith. Beimíd ag úsáid an múirín sin sa ghairdín san Earrach. A bhuíochas cuid mhór do Mháire a thugann aire den ghairdín. Féach ar na ghrianghrafanna atá mar fhianaise den dea-obair! The students once again succeeded in growing many vegetables this year in the school garden. We grew many vegetables such as potatoes, onions, peas and carrots. The senior classes made a very tasty, healthy soup and many loaves of soda bread. We are also delighted to see that our compost bin has indeed produced compost! We will use the compost in our garden in the Spring. A big thank you to Máire who has been a trojan, maintaining the garden and compost. Have a look at some of the photos of the wonderful work. Rang 5 are doing a little play on Friday in french to promote European languages. The 26th of September has been set by the european council as european day of languages and it is celebrated by various schools all over Europe. This play will be uploaded on the leargas website and people will be able to vote for it. This could win the school a really good prize. The children of rang 5 need to bring "costumes" on Friday. Nothing fancy. The children know the characters they are playing. I was wondering if you could put this on the nuacht to give parents some time to get the costumes organised? Tá an t-ádh dearg linn anois spás mór a bheith againn le haghaidh gluaisteáin lasmuigh. Níl aon mhaitheas sa spás mura núsáidtear i gceart é. Tá scéim Ro-Ro faoi bhun againn agus tá sé fíor thábhachtach go dtacaíonn gach duine leis. Tomáin aníos , scaoil do pháiste amach agus tomáin ar aghaidh go sábháilte. Tóg nóta, níl aon pháircáil do thuismitheoirí ag geataí na scoile. Tá cúpla spás trasna ó gluaisteáin na múinteoirí dóibh siúd go bhfuil orthu teacht isteach chun bualadh le múinteoir nó le Hilda san Oifig. We are very lucky to now have a large parking area outside the school. However, there is no use in having the space if we don't utilise it properly. We have the Ro-Ro scheme in place and it is imperative that everyone complies with this. Drive up, let your child out and continue on slowly. Take note, parents may not park at the school gates. There are a couple of parking spaces available opposite the teachers parking area for parents who have to come in to the school to meet teachers or to meet Hilda in the office. Tá an Phobal Scoil tar éis cuireadh a thabhairt do leanaí ranganna 5 & 6 chun dul chuigh na scoile ar an 6ú D.F. 2014 óna 11.00- 1.00 agus cúpla rang samplach as Gaeilge a thriailt.Tá suim ag an bPobal scoil ranganna a chur ar fáil as Gaeilge ach braitheann sé ar éileamh. Ní chiallaíonn sé go mbeidh sraith Gaelainne ar fáil ann don scoilbhliain 2015/2016. Beimíd ag siúl ann agus thar nais. The Kinsale Community School have invited 5th and 6th Class to visit the school on the 6th October 2014 from 11.00 a.m. to 1.00 p.m. to sit in on a few sample lessons taught through the medium of Irish. The Community School is interested in providing classes in Irish but it depends on demand.It doesn't mean that there will automatically be an Irish stream available there for the 2015/2016 school year. We will be walking there and back. Tá dáta eagraithe don gCóineartú. Beidh sé ar siúl ar an Mháirt an 5ú Bealtaine 2015. Tá deis iontach againn an Searmanas a bheith againn linn fhéin. Ár mbuíochas l'Easpag Chorcaí agus le Sagairt an pharóiste as a dtacaíocht in a leith. The date for our very first Confirmation has been set. It will take place on Tuesday the 5th of May 2015. We have the wonderful opportunity to have this ceremony to ourselves. We are very grateful to the Bishop of Cork and to the Parish Priest for making this possible. Táimid ag tnúth go mór leis an gCóineartú ach ag an am gcéanna cialaíonn sé teacht chun deiridh rang a 6 sa scoil. Beidh spás ana speisialta ag an rang san i gcroí Gaelscoil Chionn tSáile i gconaí. Thóg sibh rogha cróga iontach, tús a chur le óideachas trí mhean na Gaeilge i gCionn tSáile. Tuigim gur rud mhór é an bogadh ó Bhunscoil go Meán Scoil. Sa téarma deireanach táim ag súil le Oíche eolais a chur ar fáil do thuismitheoirí ar conas is féidir leo cabhrú lena bpáistí le linn an stad seo. Beidh Workshop a chur ar fáil dos na páistí leis ( Le tarlú sa téarma deiridh). Tá sé nach mór 7 mbliana ó shin anois go raibh tuismitheoiri na ranga san crosta liom toisc go nduirt mé lena pbáistí go mbeidís ag dul go Ciarraí ar thuras thar oíche lá éigin. Tá an tam san nach mór tagtha !!!! Beidh pleanáil á dhéanamh againn ar an dturas tar éis na Nollag. We are very much looking forward to our very first Confirmation. However, it marks the beginning of the end for our sixth class in the Gaelscoil. They will always have a special place in this School. You took a courageous decision to educate your children as Gaeilge and what a fantastic decision that was. I understand the transition from primary to secondary school is a daunting one. I am working on making this transition a little easier by having an information evening for the parents on the topic. You will get tips on how you can support your child during this transition. There will be a workshop organised for the children also ( all to take place in the final term). It is now almost 7 years ago since you were cross with me for telling your children that one day they would be going on an overnight journey to Kerry. The time has nearly come!!! We will begin to plan for this trip to the Gaeltacht after Christmas. Dea-scéal do Rang 5 agus Rang 6! Fuaireamar an t-airgead thar nais ón turas scoile go dtí an Mardyke (mar is eol daoibh, ní raibh an turas sásúil i Mí an Mheitheamh seo caite). Tá sé i gceist againn an t-airgead sin a chaitheamh ar ar turas eile go dtí an West Cork Secret chun seans eile a thabhairt do pháistí Rang 5 agus 6 taitneamh a bhaint as turas scoile. Beidh costas E3.70 do gach páiste don bhus le bhur dtola. Beimid ag fágaint na scoile ag 8.45rn ar an Déardaoin 25ú Meán Fómhair 2014. Déan cinnte go bhfuil do pháiste ar scoil go luath an maidin sin (ag 8.30rn más féidir). Beimid thar n-ais ag an scoil timpeall a 3 a chlog. Ní bheidh éide scoile ag teastáil ar an lá, tá cead ag na paistí sean éadaí spóirt nó 'wetsuit' a chaitheamh le sean bróga reatha. Beidh éadaí bhreise tirim ag teastáil uathu sna malaí chomh maith. Beidh lón ar fáil dúinn ann, mar sin ní gá dóibh ach rud éigin le n-ithe don sos a thógáil leo. Good news for Fifth and Sixth Class! We have had the money from our school trip to the Mardyke reimbursed (as you know our trip there last June was unsatisfactory). We would like to use the money to go on another trip to the West Cork Secret, to give Fifth and Sixth class the opportunity of a more enjoyable school trip. There will be a cost of E3.70 per child for the bus please. The bus will be leaving the school at 8.45am on Thursday 25th September 2014. Please make sure your child is in school early that morning (8.30am if possible). We will be back at school at approximately 3.00pm that afternoon. The children don't need to wear their school uniform on the day, they should wear an old tracksuit and old runners or a wetsuit. They will also need a dry set of clothes in their bag to change into afterwards. Lunch will be provided for us, so they need only bring something to eat for morning breaktime. Tuismitheoirí pháistí ar an bhFoireann Peil Gaelacha na Scoile: Parents of pupils on School Football team. Ag fágaint na scoile (leaving school) ag a 10.15. AG LORG: Tuismitheoirí chun tiomáint ann, le bhur dtola, abair le Hilda amárach 17/09/14 más féidir libh páistí a thabhairt ann. LOOKING FOR: Some parents to drive players to and from Cobh. Please notify Hilda tomorrow 17/09/14 if you are willing to drive. Maidir leis an ceacht Dé hAoine (19/0914) ag cailíní Rang 5 agus Rang 6, muna theastaíonn uait go mbeadh do iníon páirteach sa ceacht seo, téigh i dteangabháil le Múinteoir Eavan le bhur dtola. Regarding the lesson for Fifth and Sixth Class girls this coming Friday (19/09/14), if you do not wish your daughter to be present for this lesson, please get in contact with Múinteoir Eavan. Tá cruinniú ag cuiste na dtuismitheoirí oíche amarach an 16ú M.F. ag a 8. Táim ag impí ar dhaoine freastal ar an gcruinniú agus bheith páirteach sa choiste.Is slí iontach é chun aithne a chur ar thuismitheoirí eile agus a bheith gníomhach I scoil do pháiste. Ba mhaith liom an deis seo a thógaint chun mo bhuíochas a ghabháil le coiste na bliana seo chaite. Rinne said sár jab. Maith sibh go léir! The Parents Association are having their first meeting for the 2014/2015 School Year tomorrow night, Tuesday the 16th of September at 8p.m. I would love for as many parents as possible to attend this meeting. It is a great chance to meet with other parents and to become more active in the running of the school. I would like to take this opportunity to thank last years Parents Association. They worked extremely hard and as a result created great opportunities for the children of this school. Well done! Táimíd ag déanamh amach uimhreacha do rang na Naíonáin Shóisireacha 2015 faoi láthair. Tá an- éileamh ar áiteanna mar sin má tá páiste sa bhaile go bhfuil sé ar intinn agat a sheoladh i Meán Fómhair 2015 bí cinnte de go bhfuil siad cláraithe! . Cur glaoch teileafón / seol ríomhphost go Hilda ag deimhniú go bhfuil do pháiste cláraithe nó faigh foirm clárúcháin ar an suíomh agus seol isteach chuigh Hilda ar an bpointe é le bhur dtola. Tá sé ana thabhtach go gcláraíonn tú do phaiste anois mar ní féidir linn spás a dheimhniú dóibh siúd a chláraíonn níos dearnaí sa bhliain. We are currently organising next year's in-take of Junior Infants. Yet again, there is high demand for places. If there are any siblings who intend to start Sept 2015 please ensure they are registered! Please Call/ email Hilda in the office to confirm your child's registration. If you have not registered your child forms are available for download on the school website. Please return completed forms immediately. It is vital that you register your child now as we cannot guarantee a space for those that register at a later stage. Beidh ceacht ag cailíní Rang 5 agus Rang 6 maidin Dé hAoine 19ú Meán Fomhair 2014, ar a naoi a chlog, bunaithe ar fás agus forbairt agus na athruithe a thagann ar choirp chailíní ag an aois seo. Beidh sé curtha i gcuimhne dóibh gur féidir leo teacht chuig Múinteoir Eavan nó Múinteoir Michelle más gá ina leith agus beidh soláthairtí ar fáil i leithrisí na gcailíní. On Friday the 19th September 2014 at 9am, Fifth and Sixth class girls will have a special class on growth and development and the changes that happen to girls bodies at around their age. They will be reminded that they can come to Múinteoir Eavan or Múinteoir Michelle should the need arise and also that supplies will be available to them in the girls bathrooms. Beidh griangrafadóir ag teacht go dtí an scoil ar an 16ú lá de Mhí Meán Fomhair, 2014. Beidh said ag tosnú ag a 9 a chlog ar maidin. Ná bí déanach le bhur dtola. Beidh meabhrúchán á seoladh abhaile sna málaí scoile amárach (12/09/2014) mar gheall air. Bí cinnte go bhfuil an éide scoile ceart ar do pháiste agus cumtha neata orthu (mar a bhíonn orthu gach lá). A photographer for the Junior Infant class will be in the gaelscoil on Tuesday, the 16th of September, 2014. They will be starting at 9.00a.m. so don't be late. A reminder will be sent out in the schoolbags tomorrow (12/09/2014). Please ensure that your child is wearing the correct school uniform and is neatly presented (as they are everyday). Tá cead ag na páistí i ranganna a 1-5 rud amháin atá speisialta a thabhairt isteach amárach, an Aoine, 12/09/14. Aon rud, cosúil le teidí/ buataisí peile/ ghrianghraf srl. Beidh siad ag taispeaint an rud seo leis an rang agus ag míniú leis an rang cad ina thaobh a bhfuil an rud seo speisialta. Ansin tógfaimíd ghrianghraf don fhillteán SALF. Ní theastaíonn uainn go mbeadh aon rud ag dul abhaile briste. Ná seol isteach aon rud ró-luachmhar nó aon rud atá sobhriste le bhur dtola agus abair le do pháiste aire mhaith a thabhairt den rud speisialta i rith an lae le bhur dtola. Pupils in 1st- 5th class have permission to bring in a special item to school, this Friday, 12/09/14. This item could be a teddy/ football boot/ photo/ anything that holds sentimental value or that describes their personality. They will be invited to speak to their class about the item and to then take a photo with their item for their SALF folder. We do not want any item going home broken. Please do not send in anything that is too valuable or fragile and please remind your child to take care of it throughout the day. Lá deirneach amárach le haghaidh bailiúchán fón póca / Last day, tomorrow for mobile phone collection! Amárach an lá deirneach chun fón póca a thabhairt isteach ar scoil le bhur dtola. Tabhair isteach aon seana fón atá agaibh sa bhaile. Is ar chúis ana mhaith atáimid a dhéanamh seo. Irish Autism Action & An Scoil! Tomorrow (12th Sep 2014) is the last day to bring in mobile phones to the school. Please hand in any old phones that you have at home. We are doing this for a good cause, Irish Autism Action & the School! Seo daoibh litir faoin gcéad Chomaoineach 2015. Tá an litir seo ar pháipéar óráiste sna málaí scoile inniu (10.09.2014) chomh maith. Ba cheart daoibh é a thógaint go dtí an gcruinniú libh. The meeting will explore what is essentially involved in the preparation and help families to decide if they want to be part of the parish Preparation Programme which will be necessary if you wish your child to receive First Holy Communion. Accordingly, we invite you to a meeting of the parents/guardians only in the Friary Centre (next to Friary Church in Catholic Walk, Kinsale) on Thursday, September 18th at 8pm. This meeting will last two hours approximately. The Enrollment Mass for your child's First Communion will be Saturday, September 27th at 6.30pm in St. John the Baptist Parish Church. Tá na billí scoile le feiscint ar an suíomh inniu. Tuigim go bhfuil sé deacair ar roinnt daoine billí a íoc ag an t-am seo. Má tá deacaireachtaí agat ina leith is féidir glaoch ar Hilde agus plean íocaíochta phearsanta a eagrú. The school bills are up on the website today. I understand that it is hard for some people to pay bills at the moment. If you have difficulty with the payment you can call Hilda to set up a personal payment plan. Meabhrúcháin faoin gcruinniú le tuistí na Naíonáin Bheaga nua a bheidh againn ar an gCéadaoin an 10ú Meán Fómhair 2014 ag a 7 i.n. Reminder about the information meeting being held for parents of the new Junior Infants on Wednesday 10th September 2014 at 7 p.m.
Tá leabhair Bookpeople fágtha san oifig go dtí an Déardaoin 11.09.2014. Téir isteach go dtí an oifig má tá fonn oraibh iad a fheiscint / a cheannach. Bookpeople have left books in the school office until next Thursday 11.09.2014. Come in to see/buy if you wish. Tá féilire an scoilbhliain 2012/2015 ar an suíomh anois. The 2014/2015 school calendar is on the website now. Tá ranganna pianó ar fail sa scoil i mbliana. Má tá suim agaibh beidh oraibh glaoch ar Múinteoir Alma chomh luath agus is féidir. Piano lessons are available in the school this year. If you are interested, please contact Múinteoir Alma as soon as possible as spaces are limited. Fé mar is eol, níl an seomra nua againn go fóil. Mar sin tá na ranganna veidhlín á chur siar againn go dtí go dtiocfaidh an seomra. Brón orainn faoi seo ach níl aon dul as. As you know, we do not have a new room yet. This means that we are postponing the violin classes until we get the room. Apologies about this but it can't be avoided. Bhí Holly Ní Dhoinnleibhe, Rang 6, i gComórtas an Spelling Bee ar son na scoile an bhliain seo chaite. D'éirigh go hiontach léi agus bhíomar ana bhródúil aisti. Tá clár teilifíse bunaithe ar an gcomórtas ar siúl an Domhnach bheag seo, an 7ú Méan Fómhair 2014 ag a 6.30 i.n. Féachaigí ar chun níos mó eolais a fháil ar an gcomórtas mar b'fhéidir gur do pháiste a bheidh ag glacadh páirt lá éigin! Beimid ag coimeád súil amach duit, Holly. Holly Ní Dhoinnléibhe in 6th Class was representing the school in the Spelling Bee Competition last year. She got on really well and we were very proud of her. There will be a television programme based on the competition this Sunday, 7th September 2014 at 6.30 p.m. Have a look at it to find out more about the competition as your child may be competing one day! We will be keeping an eye out for you, Holly. Tá bosca mór fón póca bailithe againn sa scoil. Ta seachtain amháin fágtha againn chun an bhosca seo a líonadh go barr! Beimíd ag fáil i-pads mar bhronntanas ó Autism Action dár obair chrua ag bailiú. There is a large box of mobile phones collected in the school. There is just one week left to fill this box to the top! Fingers crossed we will reach the quota and will be getting i-pads as presents from Autism Action for all our hard work in collecting them. Tá comórtas caide Sciath na Scol ag tosnú an tseachtain seo chugainn 08/09/2014. Tá traenáil ag tosnú i ndiaidh am scoile an Déardaoin seo 04/09/14, idir 2.30 agus 3.30. Tá fáilte roimh cailíní agus buachaillí rang a 5 agus rang a 6 a imríonn caid. Múinteoir Siobhán Ní Núnáin agus Múinteoir Aodán. The Sciath na Scol football competition is beginning next week 08/09/2014. Football training is on this Thursday 04/09/2014 after school between 2.30 pm and 3.30 pm. Boys and girls in 5th and 6th class who play football are welcome. Múinteoir Siobhán Ní Núnáin and Múinteoir Aodán. Tá oíche eolais eagraithe againn daoibh don gCéadaoin seo chughainn an 10ú Méan Fhomhair '14 ag a 7 sa scoil. Is deis deas é seo daoibh chun bualadh isteach chughainn is níos mó eolais a fháil ar cad a thiteann amach sa Ghaelscoil go háirithe I rang na Naíonáin Bheaga. Beidh na Naíonáin Bheaga ag dul abhaile ag a 12.30 ó inniu go dtí an 13/09/2014. Ón 15/09/2014 ar aghaidh beidh said ag dul abhaile ag a 1.30. We have an information evening organised for you next Wednesday the 10th September '14 at 7p.m. at school. This is a nice opportunity to call in to us to get more information on what happens at the Gaelscoil especially in the Junior Infant class. The Junior Infants will be going home at 12.30 p.m. from today 01.09.2014 to 13.09.2014. From 15.09.2014 onwards they will be going home at 1.30 p.m.
Ba mhaith liom fáilte mhóir a chur roimh leanaí agus tuismitheoirí nua na scoile. Tá 32 páiste I rang na Naíonáin Bheaga faoi láthair, tá dalta amháin eile ag teacht tar éis aimsir na Nollaig. Tá sibh mar bhaoill do chomhluadar nua anseo sa Ghaelscoil agus beidh fáilte is fiche romhaibh bheith ghníomhach sa scoil. Beidh deis agaibh cabhrú leis na múinteoirí , bheith ar Bhord Coiste na dTuismitheoirí srl. Laethanta Éide Spóirt: Mar is ghnáth beidh dhá lá spórt againn I mbliana. Tá an gCéadaoin agus an Aoine roghnaithe againn chun tosnú amach. Déanfar gach iarracht choiméad leis na laethanta seo ach bíonn orainn bheith so-lúbtha chun múinteoirí seachtracha a shásamh. Beidh Traenail Iomanaíochta ag tosnú ar an Aoine bheag seo an 5ú Méan Fhomhair '14 ar feadh sé seachtain. Beidh ranganna na Naíonáin Shinsireacha aníos ag glacadh páirt. Beidh Tony thar nais sa tríú téarma chun níos mó traenáil a dhéanamh le gach rang (naíonáin bheaga san áireamh an uair seo). Beidh Rince Gaelach le múinteoir Miah ag tosnú do ranganna 4,5 agus 6 ar an gCéadaoin bheag seo an 3ú Meán Fhomhair ar feadh 5 sheachtain. Beidh Miah thar nais I mí Márta 2015 chun ranganna a dhéanamh leis an gcuid eile don scoil. Beidh lá gan leictreachas againn an an nDéardaoin bheag seo, 4.09.2014. Táimid ag déamamh uasghradú ar an gcóras leictreachas mar tá sé faoi bhrú . Bhí costas mór ag baint leis an obair seo a dhéanamh ar Shatharn mar sin níl aon dul as ach é bheith ag tarlú le linn lá scoile. Beidh athreorú á dhéanamh ar an bhfón scoile mar sin beidh sé in úsáid. 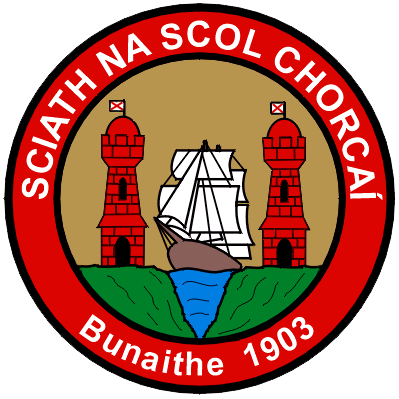 Tá féilire scoil agus billí scoile 2014/2015 á shocrú againn faoi lathair beidh siad a chur ar an suíomh roimh an Aoine bheag seo an 5ú Meán Fhomhair 2014. Mo Bhudaí : Tá Buddy System tosaithe againn inniu I rang na Naíonáin Bheaga. Tá partnéir acu go léir I rang a haon. Beidh said ag féachaint amach dá chéile ar maidin agus ag am lóin amuigh sa chlós. Tabharfaidh sé breis muinín dos na naíonáin ag tosnú amach sa Ghaelsocil agus is deis iontach leis é do rang a 1. Beidhmíd ag eagrú imeachtaí éagsúla tríd an bhliain inar mbeidh deis ag na budaí's bualadh lena chéile. Beidh coras na mbudaí's a scaipeadh go gach leanbh sa scoil I gceann cúpla seachtaine. Polaisí Cosc ar Bhidh á Roinnt: Tá polaisí nua againn sa Ghaelscoil a chuireann cosc ar bhidh de bheith a roinnt idir na páistí. Tugann an polaisí seo tacaíocht dár bpolaisí lón sláintiúil agus leis dár bpolaisí ar Ailleirgéanna. Mar sin níl cead ag do pháiste bia d'aon short a thabhairt isteach leo agus a roinnt ag aon am , breith laethanta , I ndiaidh laethanta saoire thar lear san áireamh. Go raibh maith agaibh riomh ré as bhur gcómhoibriú leis seo. Beidh brón ar na muinteoirí agus ormsa nach mbeidh cístí breithe deasa ag teacht isteach. Bhíomar ag baint an iomarca súp astu is dócha. I would like to give a big welcome to the new pupils and parents that recently joined the school. There are 32 children in the Junior infants at present. There will be another pupil joining the class after Christmas. You are now part of this school community and you will be very welcome to become involved in the school. You will have a chance to assist the teachers, join the parents' association etc. Sports clothes days: As per usual we will have 2 sports days this year. Wednesday and Friday are the days we have chosen to start off. Every effort will be made to keep to these days but we have to be flexible to satisfy external teachers. Irish dancing classes will begin this Wednesday, starting off with 4th, 5th and 6th classes. Miah will be back in March 2015 to do classes with the other half of the school. We will have a day without electricity this Thursday, 04.09.2014. We are getting an upgrade on our electrical system as it is presently under pressure. There was a high cost on getting this work done on a Saturday so there is no alternative but to have it done on a school day. The school phone will be redirected on the day so you can still use the usual number to contact the school. The weather is humid at present so it won't be much of an inconvenience to us. My Buddy: We have started a Buddy System in Junior Infants today. They all have a partner in 2nd class. They will be looking out for each other in the yard in the morning and at lunchtime. It will give the infants more confidence starting out in the Gaelscoil and it is a wonderful opportunity for 1st class. We will be organising different events throughout the year where the buddys will have a chance to meet. The Buddy system will be extended to each child in the school in a few weeks. No Sharing Food Policy: We have a new policy in the Gaelscoil that forbids the sharing of food between children. This policy supports our Healthy Lunch Policy and with our new policy on allergies. This means that your child is not permitted to share food of any sort at any time, eg. birthdays, after holidays abroad. Thank you in advance with your cooperation with this. The teachers and I will be sad that there won't be any nice birthday cakes coming in. We were enjoying them too much!